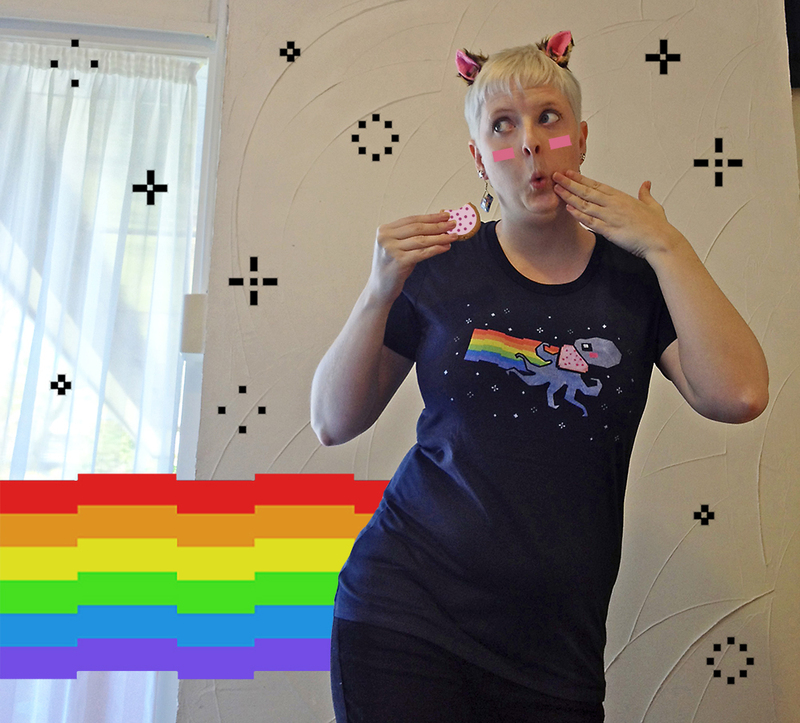 Show the original Nyan Cat creators some love. I hand paint each artwork directly on to a t-shirt using brushes and pens. I then scan the t-shirt and send the artwork to the printer. My printer in Paraparaumu does his magic using super high quality direct-to-garment printing - non-toxic and 100% machine washable. Is your size sold out? Grab one Made-To-Order!.